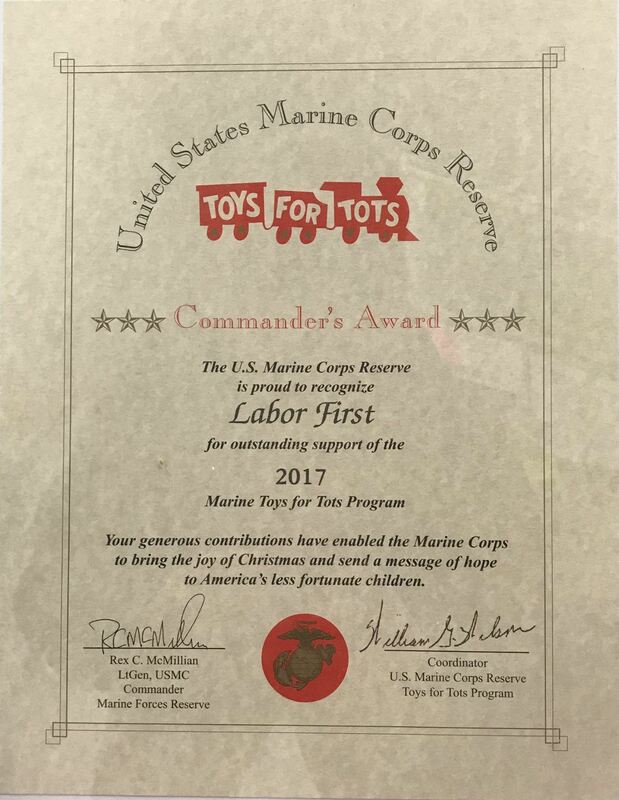 Labor First is honored to be participating again in this year’s, Marine Corps Reserve Toys for Tots! We will be collecting donations at our Mount Laurel, NJ office location until December 4th! Any gift donated will go to a family in need of holiday gifts for children. Together, we can and will make a change!